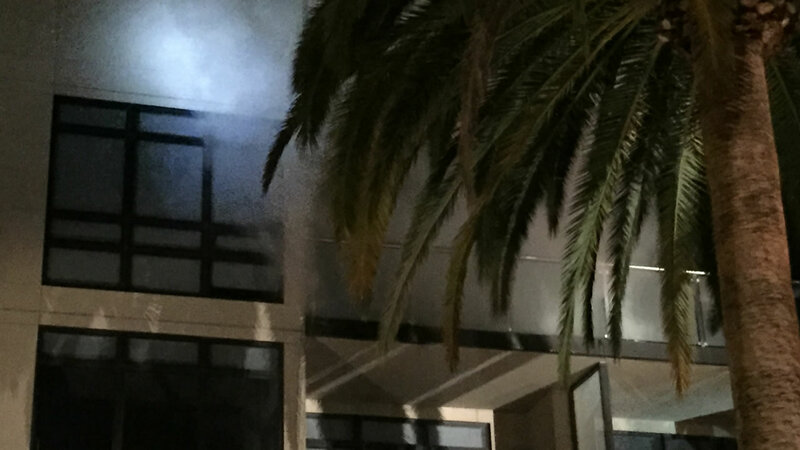 SAN JOSE, Calif. (KGO) -- A small fire broke out early Saturday morning at a downtown San Jose apartment complex. An ABC7 News viewer tells us he heard three loud bangs just before the fire started, possibly from fireworks. The fire department says flames started on the patio of a second floor unit on East San Fernando and South Third streets around 2 a.m.
Nobody was hurt and firefighters doused the flames in about half an hour.